In our first lesson, you'll learn about all of the characteristics of running your own consulting business. In the process, you'll have the opportunity to take an entrepreneurial career test that will help you determine if owning a consulting company is a good decision for you. As you study independent consulting, you'll also learn about alternatives that will allow you to offer your consulting services without the issues associated with self-employment. Finally, I'll show you how to lay the foundation for success as a consultant. Today, we'll turn our attention to the profession of consulting. 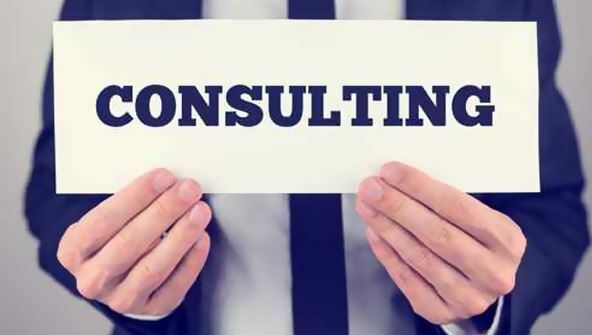 In this lesson, I'll help you recognize the prospects of independent consulting and will introduce you to 20 of the most common consulting fields. My goal is to help you identify the kind of consulting practice you may want to run. Finally, I'll introduce you to some successful consultants in various industries so you can see how they started and grew their businesses. In this lesson, you'll work through a series of exercises designed to help you pinpoint your area of expertise. You'll work with a tool that will help you interpret your skill set and help you choose the type of consulting practice to run. After you work through the exercises, you'll read two case studies about consultants who, after thoroughly assessing their skills and backgrounds, started practices quite different from what they originally envisioned—both financially and personally. Today, you'll begin taking steps toward actually create your consulting firm. You'll learn how to set concrete goals, both short-term and long-term. Once you know how to set goals, you'll learn how to use them in your strategies for attracting clients to your new business. We'll apply a simple goal-based analogy of seed planting to get you well on your way to understanding what it takes to get customers. In today's lesson, you'll take the first steps toward opening your doors. First, you'll learn how to craft a fundamental business plan, then I'll show you how to use a basic planning template to develop the business plan for your individual company. We'll begin by creating the conceptual basis and mission of your consulting practice. Then you'll learn how to research the marketplace to both uncover your clients' needs and discern how other consulting practices operate. Finally, you'll work on establishing your pricing structure and determining what specific services you'll offer. You're just about ready for your grand opening! In this lesson, you'll learn about the eight physical steps you'll need to follow to start off right. Each of these steps, completed in sequence, will move you toward opening day. Among these eight steps, you'll examine issues related to licensing, legal construction, naming your business, and even choosing a business card style that will get you noticed. Today, we'll explore the financial aspects of your company. You'll begin by developing a series of budgets for various stages of your company's growth. First, you'll create a complete start-up budget. Second, you'll forecast your ongoing expenses for one year. Third, you'll estimate your gross income and use the income and expense figures to estimate your potential profit. After developing those financial sheets, you'll learn why you'll need to use contracts and letters of agreement. Finally, you'll learn all about billing, including several options that can reduce collection problems and significantly help your cash flow. Now it's time to go after your first client! This is the first part of a two-part lesson in which you'll learn how to obtain customers. In this lesson, find out how to correctly identify the kinds of customers who want or need your services. You'll learn how to recognize them using two market analysis tools: demographics and psychographics. You'll also learn why you should target your customer base first, and then create advertisements aimed toward those customers. In this second marketing installment, you'll learn how to select advertising forms that will best reach your customers. We'll explore the four major categories of advertising as well as their subcategories. You'll use a marketing plan worksheet to detail which forms of advertising you'll use to reach each type of client. Then you'll learn about the major difference in strategy between marketing to a consumer clientele and marketing to a commercial clientele. Finally, I'll explain the concepts of frequency and response rates and how each will increase your chances of success in securing paying clients. Now it's time to learn about the administration of your business, namely record keeping. In this lesson, you'll learn about the seven basic components that comprise your record keeping system. We'll discuss which kinds of records you should keep for management and tax purposes. After you learn which items to record and track, I'll explain the calculations you'll need to perform and how to read the financial condition of your company. Finally, I'll give you several scenarios to help you practice those computations. Today, you'll learn the basics of business tax deductions and how to estimate your business taxes. You'll find out how to identify tax deductions for your business, as well as how to unearth potential tax deductions from your personal affairs that could be related to the business. You'll also learn how to work with your accountant to properly plan for tax time and help minimize your tax obligations. We'll conclude by reading two case studies that will help you practice estimating taxes owed. In this final lesson, I'll introduce you to dozens of resources that can provide you with assistance as you build your business. You'll learn about government agencies at the federal, state, and local levels, as well as local organizations that exist to serve entrepreneurs like you.